Compare fees and commission rates for the top local agents in your area. Get a free, personalised report for your property. Selling your property ranks in the top ten most stressful events of your life. It can also be one of the most expensive too. That’s why it is essential that you enter into the selling process knowing what real estate agent fees and expenses you will need to pay. Here at Which Real Estate Agent, we have had years of experience helping sellers find the best agent for them, as well as being able to collect helpful information on what type of costs sellers need to be aware of. So we’ve used our knowledge to explain for you the usual types of commission rates and other costs you will need to pay, as well as give you an approximate cost of them. In Australia, there are two main types of fees that real estate agents charge. They are a commission rate where they will receive a percentage of the total sale price of your property or a fixed amount where upon sale you pay a lump sum which is not related to the sale price. But there are primarily two types of commissions that your agent could use, a flat rate commission or tiered percentage commission rate. A flat rate commission means that you pay an agreed upon percentage of your property’s sale price to your agent. A tiered percentage rate means that you will pay your agent a certain percentage for the price achieved up to a certain price. Then if the sale price achieved is higher, you pay a different (usually higher) rate on the amount above it. Both flat and tiered commission rates have the advantage that your agent has an incentive to work towards selling your property at the highest price they can, as they will get more money. A fixed amount fee charged by an agent is when you and your agent agree that they will receive a certain sum when your property sells. This fee remains the same regardless of how much your property actually sells for. This has the advantage that you will know exactly what you need to pay your agent, but some research shows that agents may push you to settle quickly and for a lower price because they have no vested interest achieving a higher price. 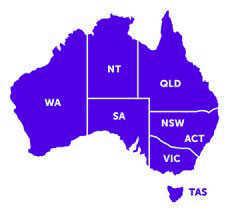 The average commission rates in Australia to sell a house or unit range between 1.6% and 3.5%. However these rates vary between states and the location of the property within a state. Generally you will find that if your property is located in a metropolitan area, your agent will charge a lower commission because there is a lot of competition between agents and properties sell quickly so they always have commission coming in. Agents in regional areas tend to have a higher commission rate because properties take longer to sell, so require more work from the agent and there is less competition between agents as there are less of them. VIC the average rate is 2.4% but charge between 1.6% and 3%. ACT range from 2.5% to 4%, where the average is 2.17%. However in TAS and QLD commission rates are a bit trickier. TAS has a published commission scale guideline which agents can or cannot choose to follow, but most do. There are three tiers in TAS, which show that for properties which sell between $10,000 and $50,000, agents charge $1104 plus 6.02%. Properties that are valued at between $50,001 and $100,000, mean the agent will usually charge $3512 plus 4.22%. Finally for properties valued from $100,001 upwards, agents will usually charge $5523 plus 3.99% of excess over $100,000. Queensland on the other hand currently has a regulated fee system where agents cannot charge over 5% for the commission on the first $18,000 of a sale and then 2.5% on the remainder. This cap on QLD agents fees may be removed towards the end of 2014, if current draft legislation is passed. 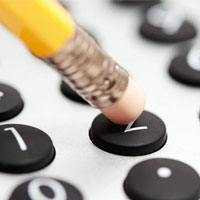 Want to do a quick calculation to figure out what you could be paying? Just use our agent commission fee calculator below. As well as having to pay a real estate agent a commission or fee to sell your property, there are some other types of expenses which you will need to budget for. They are the costs of having a professional photographer photograph your home for marketing purposes, having a floor plan of your property professionally drawn up and advertising online and /or in traditional media such as newspapers or magazines and other advertising mediums. Having professional photographs taken of both the inside and outside of your property is an essential marketing tool. Not only can the photos be used to attract potential buyers online to actually visit your property, but they can also be used to help prompt the memory of buyers who have visited, as to what the key features of your property were. Photos can also be used in marketing images such as flyers or billboards and will cost you anywhere between $100 and $500. A professionally drawn floor plan can help potential buyers find their way through your property when visiting it and let them make notes on it as to where they could put their own furniture. It can also be placed with your online listing, allowing online property buyers to visualise the layout of your property and decide if it would suit them. The cost of a floor plan is about $100 to $200. Advertising your property and targeting potential buyers is of course essential to selling it. You have the choice of selling it using different mediums such as online using property websites, in traditional media such as magazines and newspapers and other forms of advertising such as flyers, billboards or databases. Using an online property marketing website will cost you between $500 and $5000, depending on where your property is located and the size of the ad. You may also wish to advertise in national and local newspapers. A print run of flyers to hand out at open homes, a billboard at the front of the property and email blasts to the agents database are also additional costs that may be incurred. In conclusion, selling your property in Australia will cost you either on average between 2.06% and 3.25% in agent commissions or an agreed upon fixed fee not based on the sale price. Then you will need to pay for other expenses such as photography, a floor plan and for advertising. What is the average real estate agent commission rate? The average commission rate for an Australian real estate agent is between 2-3%. This will vary suburb to suburb. Some suburbs will have a competitive market and may have a lower commission rate, while some suburbs may be less competitive and agents there may charge a higher commission rate. What extra costs will you incur from a real estate agent? Some real estate agents will charge extra for marketing costs like professional photography, property styling, flyer and brochure printing or online advertising. This will vary dependant on the agent and agency and it is recommended to compare real estate agents prior to selecting one to sell your property. Traditionally the real estate agent’s commission rate is agreed upon prior to listing the property. One the formal offer has been accepted the agent’s fee is calculated as a percentage of the final selling price. The commission is paid by the seller once the property has been settled.